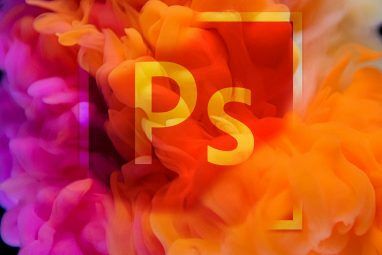 Here at MakeUseOf, we’ve given away ArcSoft products in the past, like their one-click makeover software Perfect365 Perfect365: One-Click Makeover Software [Giveaway] Perfect365: One-Click Makeover Software [Giveaway] ArcSoft, the minds behind other great photo manipulation software such as PhotoStudio and Panorama Maker, has delivered exactly what it promises in Perfect365 with its "one-click makeover" functionality. This week, we're giving 25 copies of... Read More . ArcSoft seems to be great with image manipulation, as evidenced by their other products. In this giveaway, we’ll be taking a look at Panorama Maker 6. At its most basic, Panorama Maker 6 converts multiple photographs into a single panoramic image. Panorama Maker 6 is available for $79.99 on Windows XP, Vista, and 7. If you’re not sure if you’ll make much use of the program, the program has a 15-day free trial so you can give it a test run. This week, we’ll be giving away 25 copies of Panarama Maker 6 worth a total of $2000 absolutely free! Does that sound like something that interests you? Of course it does! In order to participate, read over this review. The giveaway details can be found at the bottom of this post. There are a ton of awesome features in Panorama Maker 6. It can work with images and videos to create 2D and 3D panoramas. There are multiple stitching modes to create the right kind of panorama for your needs. Export in a number of file formats, including JPG, TGA, and Flash. Panorama Maker 6 works by looking for overlapping sections in numerous images and using those sections as base points for composite imaging. For example, if you took 2 photos of the Eiffel Tower, Panorama Maker 6 would use that as the grounding point of the image and create a panorama around it. At least, that’s how I understand it to work–and it works well. Getting started with Panorama Maker 6 is very easy. As soon as you open the program, you’ll be met with a directory explorer on the left and list of image and video files on the right. Here, you’ll choose the various images and videos you want to splice together to create your panorama. Once you’ve selected the relevant files, you’ll need to choose a “stitching mode” at the bottom left. This will determine the method that Panorama Maker 6 uses when combining your images and videos into one. Here I have four separate images of the same landscape. Using the Tile stitching mode, I can rearrange the four images I’ve selected into any order. Once I click “Stitch,” the program will do its magic and splice them all into one panoramic image. Voila! Panorama Maker 6 successfully detected the overlapping points in all four images and created a perfect panoramic image. This is the kind of beautiful panoramic photo that works well as a desktop background, if I do say so myself. With your stitched image, Panorama Maker 6 allows you to perform some very basic editing actions. You can tilt your image if you feel inclined, or you can adjust the brightness and contrast. And yet, here is the coolest part of Panorama Maker 6 in my opinion. 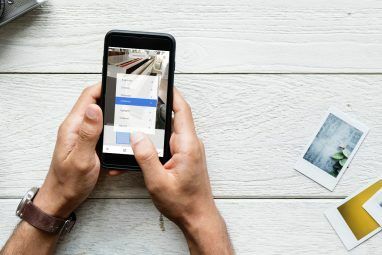 Once you’ve created a panorama, you can click on “Order Panorama” to order a high-quality print of your finished image from the Panorama Print Center. You can choose from three different finishes (Matte, Glossy, Metallic) and a number of sizing options depending on your image. As expected, if you want to order a print, it’ll cost you some money. However, it’s certainly more convenient than having to run down to the nearest Kinkos or Staples and having to figure out all of that printing business on your own. If you don’t want to order a print, that’s fine too. Like all image editors, you can save the image to your computer with ease. With Panorama Maker 6, combining multiple overlapping photos into one large image could not be any easier. All of this took me no more than 5 minutes, and I’m as newbie as they come with regard to photo manipulation. 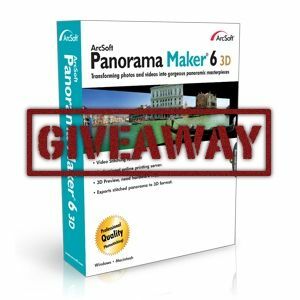 Again, we’re giving away 25 free copies of Panorama Maker 6 to all of our beloved readers who participate. Unfortunately, Panorama Maker 6 is only available for Windows XP, Vista, and 7. If you are a Mac user, you may want to consider the previous version, Panorama Maker 5 Pro. Congratulations! If you were selected as a winner, you would have received your license via email from jackson@makeuseof.com. If you require any assistance, please get in touch with jackson@makeuseof.com before May 25. Enquires beyond this date will not be entertained. This giveaway begins now and ends Friday, May 18th. The winners will be selected at random and informed via email. Explore more about: Image Editor, MakeUseOf Giveaway, Panorama. You're very welcome! Good luck. Panorama Maker 6 is nice. You're welcome. We love that you follow us and this is one of our ways to thank you. Good luck! Love the Android app, would love to use this!!!! cool, count me in !